We are also on standby because we are waiting for an important answer that could disrupt our release schedule. I can’t talk about it right now, but you’ll be the first to know if we get a positive answer! All this means that we’re a little slow right now, even though we’re still working on the game. I am starting the 9th level of the specialized artist houses. The goal is to reach the maximum level, i.e. 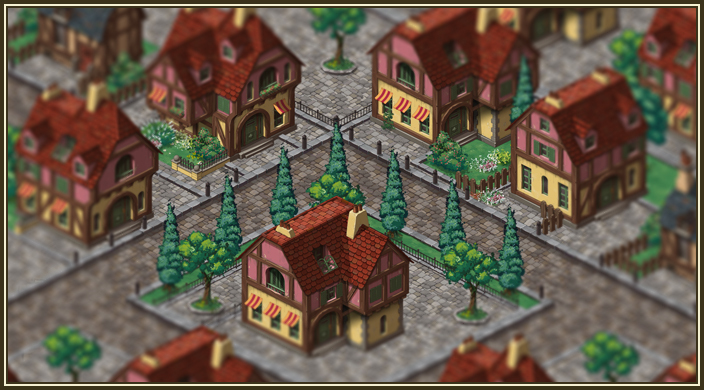 level 12, to get a complete overview of what will be the heart of your city: housing. I would also like to take this opportunity to thank all the people who follow our little studio and our projects, having your feedback motivates us enormously because it is not always easy to keep faith and motivation, especially when you work from home! So big up to all of you who follow us! Other info: the frequency of publication on the devblog will go down from now on. With the need to work for third parties we will be less productive on our own projects, and therefore on Lethis – PoP II. Don’t worry though, we will continue to publish as we progress on the project! I also hope that the news are regarding a publisher or something alike, but if that’s not the case – is there already or will there be an option to support you? Thank you very much for this nice message! We are very fortunate to have a community that supports us. Happy new year! Keep up your amazing work! (Late) Happy New Year to you as well guys.